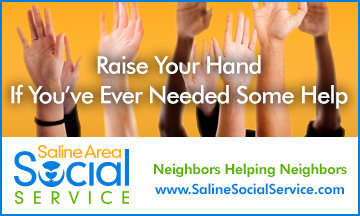 Print-Tech is happy to partner with the Saline Area Social Services again this year. The non-profit agency serves 350-400 local people with food and other services each week. They've come a long way since 1961 when Marian Hering first established Saline Area Social Service in her basement to provide Thanksgiving and Christmas baskets to those in need in the Saline Community.